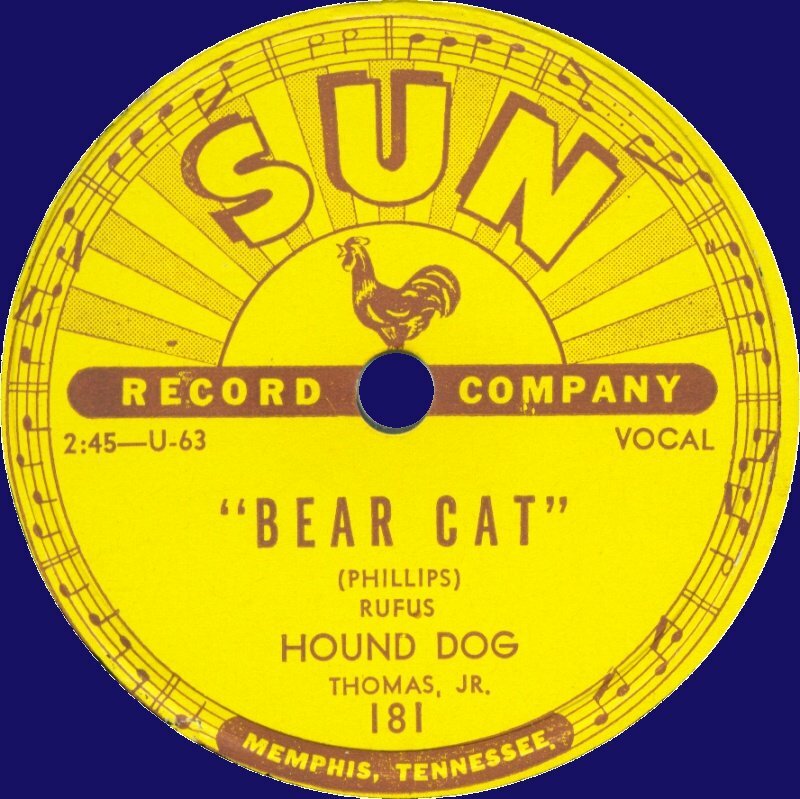 When in 1950 Sam Phillips started a little studio in Memphis, and two years later a record label, he could never have imagined that he would discover a man who would become one of the major factors of a craze that would completely upset popular music in the world. Now Sam did have a notion, though, or let's call it a commercial insight, that Rhythm & Blues was ready to be sold to a new generation of the white audience - teenagers. That notion, I think, was the very definition of Rock 'n Roll, and Phillips instantly knew that he'd hit the jackpot when a young white truck driver, after two useless sessions in his studio, started fooling around banging his guitar on an old forties blues. Up to that day when Elvis walked into the studio, Sun was primarily a Rhythm & Blues label. Today I play from these early days, but with the story that made the legend out of the little label, I will also play that iconic number 209, the debut single of Elvis.